Essential Oils have been called the ‘life blood of plants.’ These oils are the life force that help the plant heal itself – and work with us in the very same way! The use of essential oils and how they affect our wellness is something I have been exploring more seriously this past few months. I have always had the requisite oils on hand; lavender, tea tree oil, oregano oil, eucalyptus, jasmine etc. Then my friend Maria introduced me to a new world of quality oils I have grown to love. I used to get headaches when using them, and that has all changed. I am using them on my skin, under my tongue, in my drinking water, diffusing them and am so impressed with the results. Using the oil blends such as: Joy, Abundance, Inner Child, and Live Your Passion have proven to be accurate in their labelling. I had no idea how deeply healing and transformative oils could be. I am here on this planet to share all things to do with healing. I encourage you to explore more if you have not done so already. In my research I have found the company Young Living Essentials to be the best for quality, research and testing. I then decided to have Maria come and teach a little workshop with me. It went so well that we are doing it again. It is a great way get started with a good base of knowledge. Did you know that the human body is made up of approximately 100 trillion cells and that one drop of essential oil contains over 40 million trillion molecules. Since it only takes 20 minutes for an essential oil to reach every cell in your body, this means every single cell is covered by 400,000 essential oil molecules. How’s that for some interesting math! 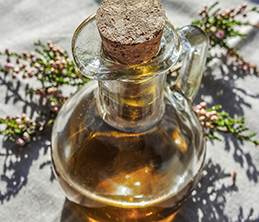 To be a little more serious about essential oils: Did you know that there are no labeling regulations on the market today for essential oils, therefore, knowing the oils are properly monitored and tested for authenticity is very important. The term 100 % pure can range from ‘Authentic’ where it has only one single species of oil with no added synthetics or other species, ‘Manipulated’ which contains multi species of oils or even heavier molecules removed to enhance the aroma, ‘Perfume’ which contains pure and synthetic, and ‘Synthetic’ which is 100% synthetic. The latter two can be quite harmful causing allergic reactions or worse. At our workshop Maria and I will be demonstrating Young Living oils, talking about energy healing, the chakras and a lot of good information. The oils are 100% pure Authentic oils that only contain one single species of oil and nothing else. Join Maria and myself on Oct 25 for 2 hours of blissful learning!